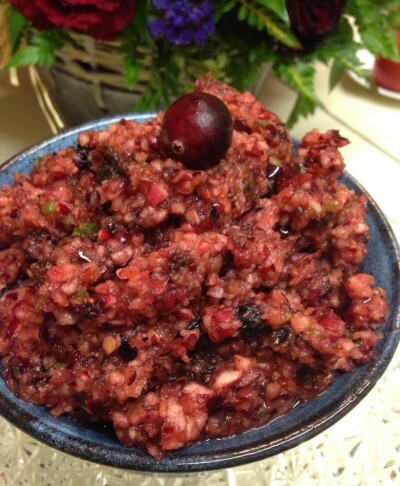 Cranberry Salsa - Raw Juicy Living - Recipes and Workshops for Parksville, B.C. Place everything in a food processor and chop until chunky. Best when made at least 6 hours ahead of time. Makes 2 1/2 to 3 cups.